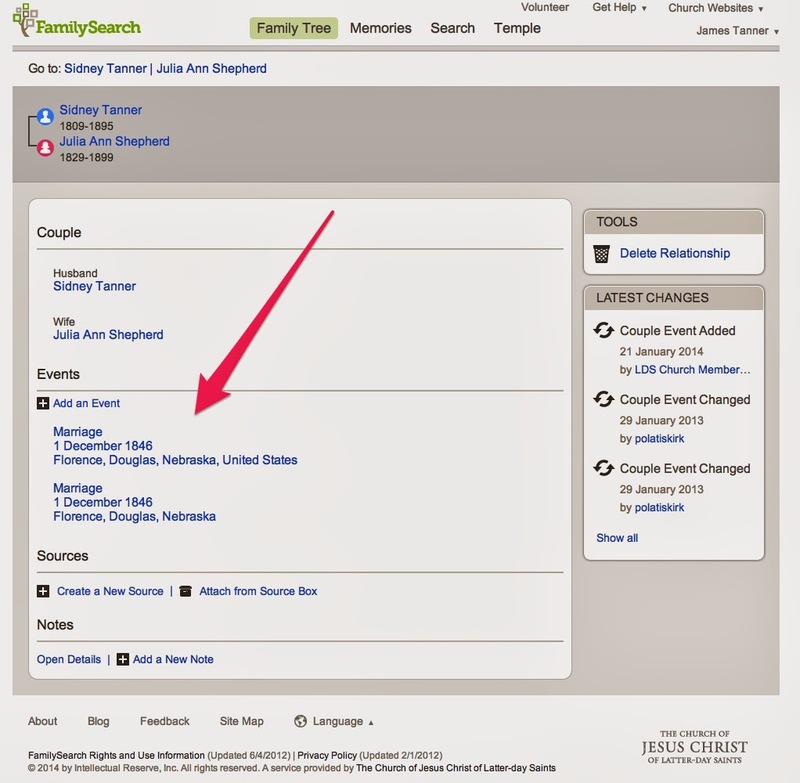 Ancestry.com Expands Groundbreaking Collaboration With FamilySearchThis announcement was dated 29 January 2014, but it is possibly a repeat of an earlier announcement made by press release. We are pleased to announce an extension of our collaborative efforts with FamilySearch International that will make more than one billion additional records from 67 countries available on Ancestry.com. These already digitized records, provided by FamilySearch, are in addition to the agreement we announced a few months ago that will help digitize, index and publish an expected one billion global historical records never before published online from the FamilySearch vault over the next five years. 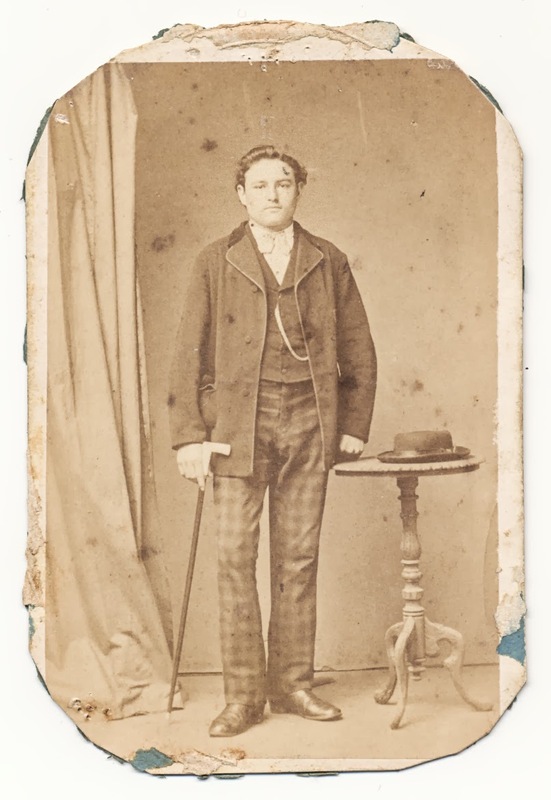 These additional records, which are already digitized collections, represent a significant expansion to Ancestry.com, which hosts the largest collection of global records available online. The records also add to the aggressive international digitization efforts already in place by Ancestry.com. The additional collections include more than one billion digitized and indexed records and over 200 million images containing birth, marriage, death, census and church records from Europe, Latin America, South Africa, South America, Asia and more. These additional records will start being added in January and fully published over the next few months. To learn more about these content collections, please visit our new International page on Ancestry.com. Findmypast has just published over 2.5 million records detailing the lives of the British in India from 1698 to 1947. The collection, released in partnership with the British Library, offers an unrivalled opportunity to explore family history on the subcontinent. The newly-released records cast light on the careers and family lives of expats, the significance of the East India Company, the offices of power, infant mortality, Anglo Indian marriages, family relationships, and the lives of women in India. The details of expats’ lives and deaths are documented in a variety of records ranging from returns of baptisms, marriages and burials, civil and military pensions and wills. I just wrote about the British India Records a few weeks ago. This is really interesting, although it seems to have nothing to do with FamilySearch.org. We're happy to announce that as of this week, you can search 138 million Geni profiles on MyHeritage's SuperSearch. Soon after acquiring Geni in November 2012, MyHeritage provided Geni's users with Record Matches and Smart Matches powered by MyHeritage. We added this to enable Geni users to benefit from historical records - something that hadn't been available on Geni before - and discover new relatives and ancestors through matches between their tree and the 25 million trees on MyHeritage. This week we completed reciprocating this benefit for MyHeritage users, and now they are able to search Geni profiles on MyHeritage, and receive automatic matches between their family trees and Geni. It took us some time to add this, because we implemented a robust, real-time "bridge" that constantly updates MyHeritage SuperSearch as changes are made in the tree on Geni. The updates stream to MyHeritage every second but SuperSearch is updated in bulk once a day with all the changes. This prevents information on MyHeritage that originates from Geni from ever becoming out of date. Now that the Geni profiles are available on SuperSearch, MyHeritage users will start receiving matches with Geni trees. This is a great benefit for users of either service, as both will now be able to expand their trees, find new information, discover new cousins and learn more from each other. Meanwhile, FamilySearch.org just continues uploading millions of new digitized source records every week, week after week. As genealogists, we all benefit from these activities. First the thoughts. I am on my way to RootsTech 2014 so I may have some down time, especially when I am battling snow and ice to get there. Trade shows have paid a big role in my life. I got into the computer business because of going to a computer trade show in Chicago. I spent a few years going to COMDEX and MacWorld. The larger genealogy conventions are really trade shows with classes and RootsTech 2014 is no exception. By the way, this is good and not bad. Most of the online benefits we enjoy come from commercial enterprises and bemoaning the commercialization of genealogy is self defeating. Since I look at programs and apps as tools, I am always ready to try a new tool or review an old one. For example, I spent the last few days working with MyHeritage.com and Family Tree Builder. I even had an email or two to MyHeritage about some of my questions. They were helpful, as usual, but the answers to the questions were more in the nature of how the program works than solving my particular issues. But, that solved my particular issues. Sometimes when we have a problem with a computer program, we are really trying to do something the program wasn't designed to do. It is sort of like complaining that your hammer doesn't work well as a screwdriver. It is like one of the patrons recently who complained that MyHeritage was not working and I discovered that the person had not uploaded a GEDCOM file! When you're at RootsTech, be sure to check out Ancestry.com, the world's largest online family resource. This is the company that helped pioneer the market for online family research. Over the last 17 years, they have digitized, indexed and put online 12 billion records to go along with 55 million user-generated family trees. They also operate a suite of online family history brands including AncestryDNA, which provides users insight into genetic ethnicity and distant cousin matches. Ancestry needs your help!! They are looking for Ancestry enthusiasts to provide feedback on some new concepts on the ancestry.com website experience. Take their survey for a chance to participate. RootsTech is the premier place to connect with other genealogists. We're excited to have the Association of Professional Genealogists be part of the conference. The Association was established in 19 79 and represents more than 2,700 genealogists, librarians, writers, editors, historians, and others involved in genealogy-related businesses. Its members represent all 50 states, Canada, and 30 other countries. While you're at RootsTech, make it a point to connect with them on LinkedIn, Twitter, or Facebook. You can visit their website at apgen.org. Don't worry about losing your precious family photos and research. When you're at RootsTech, you can see how Backblaze can make sure that will never happen. Backblaze specializes in offering automatic, continuous and safe online backup for all of your photos, video, and genealogical data stored on your computer. Whether you have a PC or Mac, Backblaze can back you up. Backblaze will be featuring free installation of Backblaze Online Backup for all new Backblaze users. And as a special offer at RootsTech, bring your PC or Mac into Booth 527 and they will install 1 FREE year of Backblaze Online Backup. We are proud to welcome BYUtv to RootsTech this year. BYUtv is a groundbreaking HD television network available in more than 53 million homes via DirecTV, Dish Network and more than 800 cable systems. BYUtv won 10 Emmy awards this year. It's thanks to unrivaled sports coverage, feature films and original programming such as Granite Flats, Studio C and American Ride. Its "see the good in the world" programming fills a void in the primetime market. RootsTech attendees will be able to meet the cast of Studio C on Saturday from 1:00 p.m. to 3:00 p.m. in the North Foyer. RootsTech is proud to be partnering with Dell at this year's conference. Dell can make all your family history searching faster and easier with their powerful and easy-to-use computer products. If you're looking to upgrade your computer, look for the Dell ad in the RootsTech Conference Guide for more information on the Dell Member Purchase Program. RootsTech could help you find the exact house where your ancestors lived, even if it's half-way around the world in Denmark. That's possible thanks to Danish Heritage Tours, which is part of RootsTech this year. They are a Danish based tour operator specializing in family history trips. Their staff of historians and genealogists will help you find the exact places where your family tree has its roots. Their expertise is genealogy, history, tour planning and guiding. As a special offer to RootsTech attendees, you can get seven hours of free genealogy research if travel to Denmark is purchased in 2014. Learn more when you visit them during at Booth 1021. When you're at RootsTech this year, be sure to get your first look at the latest books and games from Family ChartMasters. They are the award-winning genealogy chart printing service for any kind of chart imaginable. From oversized draft family reunion charts to custom decorative designs, they let you give your chart the personalized attention it deserves. They are introducing new books and online resources-Zap The Grandma Gap-designed to help even the youngest connect to their family history. It features books, workbooks and website resources. Be sure to visit Family ChartMasters at Booth 351 for FREE chart consultations and Free Zap The Grandma Gap paper doll sets. You can also find special sale pricing on blank charts and books. RootsTech is excited to host the debut of Family.me, and you can be one of the first to discover it. It is the first genealogy service to bring collaboration and game mechanics together. Family.me aims to bring families closer together through building their family tree, sharing family stories, researching historical records and more. When you stop by Booth 333, you can get a free invitation code from Family.me to be one of the first to try Family.me Beta. RootsTech is all about telling your family's story, so it's natural our friends at FamilyStorytelling.com are here to help out. Family Storytelling is a website full of ideas, inspiration, recipes, crafts and stories that will help you begin, or continue a tradition of family storytelling. They believe families can be more than just people living under the same roof, give them 5 minutes a day, and them will give you ways to become the happy family you want to be. Be sure to visit them at Booth 339 and they will give you some ways to become the family you want to be. RootsTech is honored to have the Federation of Genealogical Societies be part of this year's event. The FGS represents members of hundreds of genealogical societies across the United States and other nations. They want to help link the genealogical community and help it grow. Be sure to drop by their booth to learn about the War of 1812 Preserve the Pension Project, and the society's premier periodical The Forum. Visit them at Booth 725 to learn how you can join them for their annual conference August 27-30 in San Antonio, Texas. 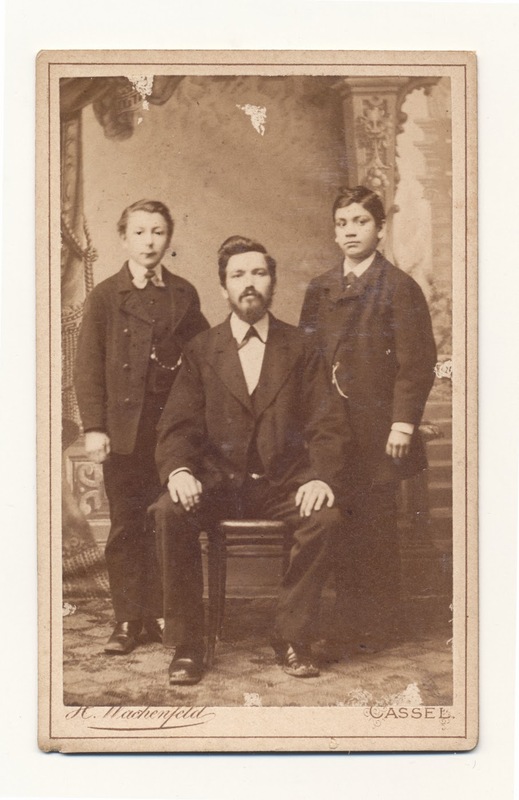 While you're here at RootsTech, be sure to learn more from our friends at Findmypast. 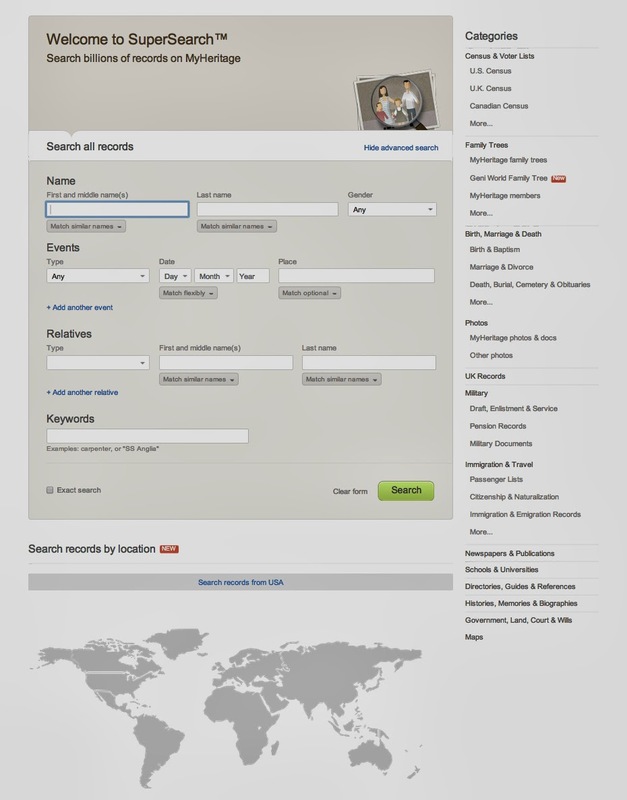 Findmypast is the British-owned world leader in online genealogy. They offer access to 1,000 years of records and let you search high-quality images from around the globe. Their parent company DC Thomson Family History (formerly brightsolid) works with institutions like The British Library, Royal Archives, the Imperial War Museum, and national and regional archives. When you stop by Booth 405, you can learn how to discover your family stories through their global collection of newspapers, vital records, census, migration and even crime records. RootsTech will help you discover and share your family history. So after you're done, discover better ways to print it out. Lexmark can help you with that. Lexmark is a provider of printing and imaging products, software, solutions, and services that help customers save time and money. Make sure you take time to visit them at Lexmark.com to see how they can help you get more done. RootsTech is a place to learn the best ways to document your family history. That's the same concept with Mocavo. Mocavo provides free access to family history forever. They launch 1000 new collections every day and never stop looking for more information for you. While you're at RootsTech, you can see demonstrations of mocavo.com and try their free scanning. You can even get 50% off of a Mocavo Gold subscription when you visit them at Booth 617. It would be nice to have someone else automatically look for your ancestors. At this year's RootsTech, you can meet a company doing just that. MyHeritage is a family history network helping millions of families around the world discover and share their legacy. They have cutting edge family history technologies to help you grow your family tree by automatically finding new relatives, ancestors, and information from billions of historical records and millions of family trees. Make sure you stop by Booth 605 and ask MyHeritage how they can help you open the door to a new world of discoveries. RootsTech attracts family historians on all levels, so it's the perfect place to get introduced to the National Genealogical Society, a non-profit organization founded in 1903. They are the premier national society to help everyone from beginners to the most advanced family historians. They offer publications and educational courses. The upcoming NGS 2014 Family History Conference, May 7-10 in Richmond, Virginia is a great opportunity to learn more. Stop by Booth 227 to learn more about the conference, get a 10% discount off of all books, and sign up for prize drawings. You could win an online course, a one-year NGS membership or a signed copy of Mastering Genealogical Proof. If your ancestors came through New England, RootsTech could be the place where you find the connections to them. America's founding genealogical society, NEHGS, will be on hand to help guide you. They have the nation's largest collection of original family research materials. Its website, AmericanAncestors.org offers hundreds of millions of records for New England, New York and beyond. Be sure to visit their team at Booth 926 and learn how their team can provide expert research assistance with specialties covering the United States, Canada, and Europe. RootsTech is all about helping you find people. We're excited to have PeopleFinders be part of this year's conference. They provide insight on people, places and things. They are one of the largest owners of public records data in the US, including information on virtually every adult in the nation. They can help you connect with anyone, anywhere. They are a premier online service that helps you quickly search billions of records spanning the last 40 years, and will deliver comprehensive and accurate results. You will want to drop in to Booth 526 to learn how they can help you find the people important to you. 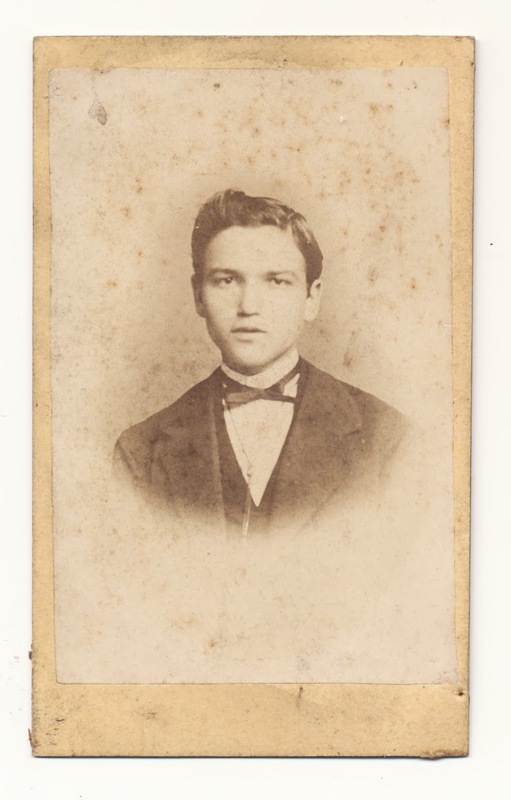 One of the best parts about family history is the photos that go along with it. So RootsTech is excited to have Pictureline be part of this year's conference. Pictureline is a great resource for whatever photography questions you might have. They understand photos and are committed to helping you achieve success. Pictureline is in Booth 317, so be sure to stop by and let them show you how to transition to a picture taker to a picture maker. The 1940 US Census is a great resource, so while you're at RootsTech, learn how to make the most of it. RootsPoint will be on hand to help you with that. RootsPoint is a global community centered on the 1940 US Census and aims to make genealogy accessible to all enthusiasts. Data available spans the 110 years before the census, stretching back to 1830. Be sure to visit them and learn how their social sharing tools can help make your searching easier. When you come to RootsTech, you'll be learning the latest ways to gather your family stories and histories. After RootsTech, you're going to want to keep learning. Salt Lake Community College can help. The Division of Continuing Education at SLCC offers a genealogy certificate for those who want to learn some solid genealogical research and organization skills. You can learn more about the course and meet their nationally and internationally renowned instructors and learn about financial assistance opportunities. As an extra incentive, the first 10 attendees to visit them at Booth 235 will receive a 50% discount. All attendees will also receive a 10% discount for a non-credit course. Home to five national parks, 43 state parks, seven national monuments, two national recreation areas and "The Greatest Snow on Earth®", Utah represents the best of the Rocky Mountains and the Desert Southwest. RootsTech welcomes the Utah Office of Tourism as a new sponsor for 2014. While you're here at RootsTech, enjoy easy access to Utah and enjoy scenic vistas, outdoor recreation, shopping, dining, and Western culture. One of the biggest benefits of attending a conference like RootsTech 2014 is the chance to see people from all over the world that you otherwise would probably never see in person. I have a lot of people to talk to every day, all day long, but most all of them are online and when you get as old as some of us are you appreciate every time you get a chance to talk to anyone in person or otherwise. There is nothing like the invisibility of old age. Now seriously, RootsTech 2014 and other conferences are mostly about meeting and greeting. If you go to the Conference and do not interact with the vendors, the bloggers and the presenters, that is your loss. You really need to use the time at RootsTech to connect. 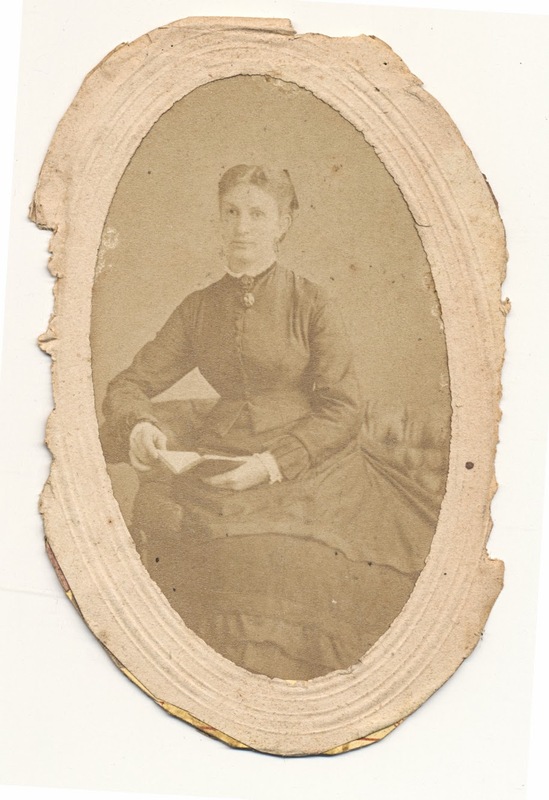 Genealogy is a very personal and solitary pursuit and if you lose the brief opportunities we have to interact in person there is no way to make up that time lost. There are a couple of things to remember however. First, most of the vendors are there to promote their product or products. They may be anxious to talk to you but feel compelled to assist paying customers or to provide support for products already sold. Be careful not to overstay your welcome. Next, realize that the FamilySearch employees and staff are there to do their job and they always have more things to do than time to do them. You can always find them at a less frantic moment but be sure to allow them to break off any conversation and go where they have to go or do what they have to do. Bloggers are in a little different category. Most of us are there to talk. We may have presentations to present or watch, but otherwise we are usually fair game for comments. Just be aware if you are talking to me, some comment you make might just show up in a post. I will always respect privacy. I will never mention anyone by name unless they don't care or ask me to quote them. I say the same thing at conferences that I say every time I go to the Mesa FamilySearch Library, if I am there, I am ready to talk and answer questions. We wear badges at conferences but don't expect me (or anyone else of my generation) to remember names readily. I usually remember everyone I have ever met because I am very visually oriented. I do not remember names or numbers. For example, I can walk a trail in the mountains and ten years later go back and remember almost every turn and rock. But I can hear a name and it is gone in two seconds. To remember a name I have to associate it with an image. So just remind me of your name when you walk up to talk to me. While I am at it, I might mention that I am deaf. I do a good job in hearing almost everything, but speak up and I will hear you. A couple of more suggestions. It is going to be very cold in Utah this next week. If you are coming from most of the country you will not be surprised and it may even be warmer than what you have at home. But if you come from the desert like me, you might be prepared for the inversion and cold. If you don't know what an inversion in Salt Lake City is like then you will probably find out. While you are there in Salt Lake City take some time to see the city (even if it is in the middle of an inversion). It is one of the most beautiful natural settings of any city in the United States and it has a huge number of attractions. My skiing days are long gone, but I used to spend a lot of time at Alta, Brighten and the other ski resorts. You could spend your whole time in the downtown area and see and work in the famous Family History Library, but it would be nice also so hear the Mormon Tabernacle Choir and see some of the other sights on Temple Square. And last, Salt Lake is a walking city. Be prepared to walk and remember, as I have said before, it is almost at 5000 feet above sea level. 15 of the sessions at RootsTech 2014 will be broadcast live during the conference to be held February 6th through the 8th at the Salt Palace Convention Center in Salt Lake City, Utah. The live broadcasts will give those unable to attend in-person worldwide a sample of this year’s conference content. Interested viewers can watch the live presentations at RootsTech.org. I learned to drive a car with a manual transmission. Of course, this is almost unheard of today except in certain types of vehicles, but the idea I quickly learned was that there were five speeds forward and only one in reverse. Well, genealogy is sort of like that. It is much easier to go forward with research of your ancestors than it is to find those same ancestors' descendants or essentially in reverse. The whole idea of looking for the descendants of your ancestors seems contrary to most people's ideas about genealogy as such. When I suggest that someone may wish to research all of the descendants of a particular ancestor, I am often faced with the question of why anyone would want to do this. In reality, descendency research has been the mainstay of surname books for a very long time. There have always been a significant number of people interested in tracing the descendants of a remote ancestor especially if that ancestor was famous or otherwise noteworthy. In my own family, I have several books chronicling a remote ancestor and attempting to trace all of his descendants. To a certain degree, DNA testing is involved primarily in the descendency research. It is often necessary to trace the descendants of a target ancestor in order to find candidates for DNA matching. From a researcher's standpoint, looking for the descendants of a remote ancestor involves only a few more research techniques and searching back in the past. The main difference is that there is always an end to descendency research when you have reached the current living generation. This type of research can also be viewed as "filling in" the blanks in your family pedigree. FamilySearch has published a handout entitled "Easy Steps to: Descendancy Research." Now, I am always leery of any proposal that uses the word "easy" just because whatever is described is usually not easy. I would certainly say this about descendency research. Some time ago I had the idea of writing or compiling a book about my remote ancestor Samuel Linton. As the project progressed, I became more and more aware of the extraordinary effort that would be needed to find current, living descendants as well as the need to document the remote ancestor. In this case, I am still looking for sources many years into the project. Because of privacy considerations, online information about living people is not as easy to access as information about people who died more than 70 years ago. In years past, there was not nearly the concern about including currently living people in published books. Many such books were compiled without the knowledge or consent of those listed. If you are compiling such a book today, what would you do with those people who refused to give permission for their names or other personal information to be included? It is a fact of genealogical life that most of the records we encounter list only one person or that person's parents. Even if we find a record listing a child it is very rare that all of the children in the family are listed. One of the major reasons why the U.S. Census records are so valuable after 1850 is because they list complete families. But few other records go into such detail and individual family members must usually be located one at a time. There are a few types of records that can be helpful such as probate records that may list the spouses of adult children. Even when descendency research would be fairly simple, for at least the children of a direct ancestor, finding the spouses of the children and their subsequent children can be a challenge. I usually encounter this situation when someone is trying to "prove" their relationship to a remote ancestor by starting with the ancestor. Often, this whole process begins as a result of an unsubstantiated story passed down through a family. Begin with what you know. If you already know the names of your great-grandparents and approximately when and where they were married, it will be much easier to search for their descendants. Begin with individuals or families alive around 1850. People who lived in the period from the mid-1800s to the present are usually easier to find. In many countries, birth, and death records began to be created by the mid-1800s. Also, some countries began to keep census records showing the names and ages of each family member. Record what you find on family group records. A family group record will enable you to record information for all the children in a family, parents, and grandparents. As you search for the descendants of your ancestors, family group records will help you organize your work. Each of these websites has a huge collection of digital books with many that fall into the category of genealogy or local histories. The area at the bottom of the screenshot adds the link to searching by area with an interactive map of the world. One of the main values of this type of sorting of data is that you can see a list of all of the collections currently available. By checking down the list, you can tell whether or not there is even a possibility of finding an ancestor in the available collections. This is a nice, graphical way to filter searches. To use the rich text editor to edit articles on the FamilySearch Wiki, please use the most current version of Mozilla Firefox. At various times, the FamilySearch logo and headings disappeared from the Research Wiki pages even if you were using the latest version of Mozilla Firefox. From my standpoint, the loss of the rich text editor was no big deal because I edit directly in Wikitext, but it was a topic of discussion for a while in Research Wiki support community. The good news was that the Research Wiki now has more than 76,000 articles on genealogy around the world. It was apparent that there were changes being made to the program. New drop down menus appeared at the top of the pages on FamilySearch.org generally and the link to "Photos" changed to "Memories." As a note, FamilySearch was promoting a contest to see who would put in the 12 millionth source and it looks like someone did that some time ago. In online websites, usually apparent cosmetic changes can be an indication that more serious changes are occurring. All in all, the website is still very much a moving target. This type of seemingly random changes is creating some consternation among the Family Tree users. Most of the users are still uncomfortable with the idea that "their family tree" can be changed, much less that the changes can come from an outside entity such as the LDS Church Membership. In fact, there are quite a significant number of people working as missionaries for the Church that are trying to untangle the mess the database inherited from 150 years of submissions and record keeping. In the past, every submission by anyone to the individual records of any family were isolated from any others. For example, if an event were recorded by a Ward Clerk and submitted to the Church Membership Records, there was no way to see if that entry was right or wrong. If the entry was wrong, it could be corrected, but the correction had to be made by the individual's own request. So what happened if the individual member died? The record was never changed. So, in my case, my parents' marriage date was recorded differently as shown by the Temple records and as shown by the Church Membership Records. In addition, when the database was created for New.FamilySearch.org, none of the records maintained by the Church Membership could be changed by users of the program. That is still the case with Family Tree. Hence, we have the LDS Church Membership coming in to made changes. How do we know they have the correct information to start with? We don't. But we have always had multiple dates for some types of records due to duplication of the LDS Temple ordinances and so that has been solved by showing only the earliest of the duplicate dates. It also looks like the dates recorded by the Temples are being used instead of a conflicting date recorded by the local Ward Clerk. Now, the issue of Mayflower families and other Individuals of Unusual Size (IOUSs). As a brief introduction to this issue, it is important to note that over the history of submissions to the database, going back over 150 years, there were a huge number of duplicate pedigrees and family group records submitted. Depending on the accuracy of submitters, there were also numerous variations in the content of those records concerning names, spellings, dates, places etc. The original database used for New.FamilySearch.org had a tremendously large number of these duplicates. However, the program, New.FamilySearch.org, had no adequate way to handle the situation and in fact, allowed many more duplicate entries to be created. The individuals in the program with a large number of duplicate entries are referred to as IOUSs. Without belaboring the point excessively, we fast forward to today. Family Tree is designed, in part, to eliminate that huge backlog of duplicates. It does this through a process of merging duplicate entries. But the merge function of the program is only partially functional to the user due to limitations imposed by its connection to the still existing New.FamilySearch.org program. In short, the work being done by the LDS Church Membership and others is designed to eliminate the duplicates and consolidate all of the known (hopefully correct) information on one individual entry. So, if you have ancestors that are in this category of IOUS, such as those Mayflower passengers or many, many others, you will just have to be patient until all of the housekeeping changes are made. Now there is a danger here. In many cases, the individual showing in the program when there are multiple copies of that same individual out there floating around in hyperspace, may not be the survivor. So working with these IOUS ancestors has the risk that any changes you make could be erased by changes made at the time the multiple copies of the IOUS person are merged. Hence, some degree of frustration for those who make "corrections" only to see those "corrections" disappear. I realize that this explanation may not be exactly, exactly what is happening in every case. There is always the possibility that one of your distant relatives is also trying to make changes at the same time you are. As for me, I have been concentrating of those parts of my pedigree that are non-controversial and ignoring the rest. But I do note progress. 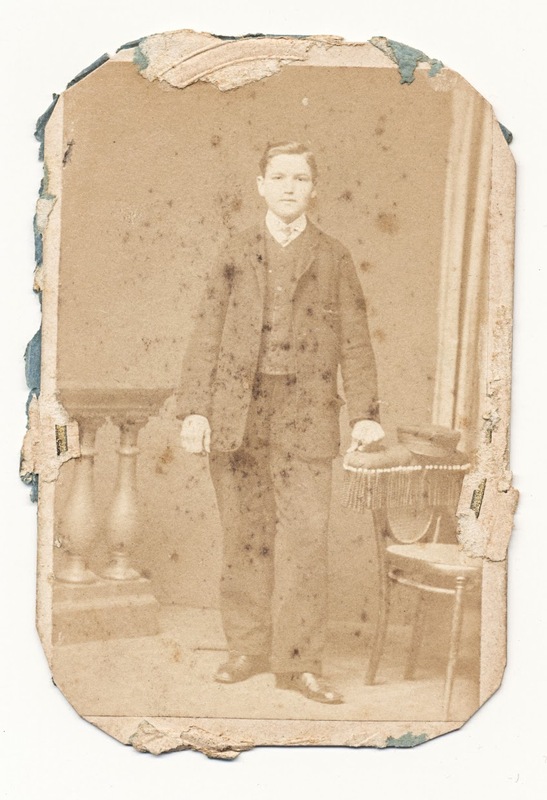 Many of the problems have been sorted out, but there are still, for me, some notable exceptions such as the problems still existing with my aforementioned Great-great-grandfather, Sidney Tanner with unresolved duplicate entries. As long as these duplicates exist, there is a high risk that any user made corrections will get lost as the merges are finally made. I expect that if I have gotten any part of this explanation wrong, that I will be "corrected" at the upcoming RootsTech Conference. Or not. Depending on how busy everyone is and whether or not they care to take the time to correct a lowly blogger. Well, I will publish the collection in parts. If you happen to see someone you know. Let me know. I do have one photo with a name. So I will start there. Here are the first six. Some of the photos were obviously glued down in the album. Too bad. The remnants of the page are stuck to the back covering up the photo studio logo. 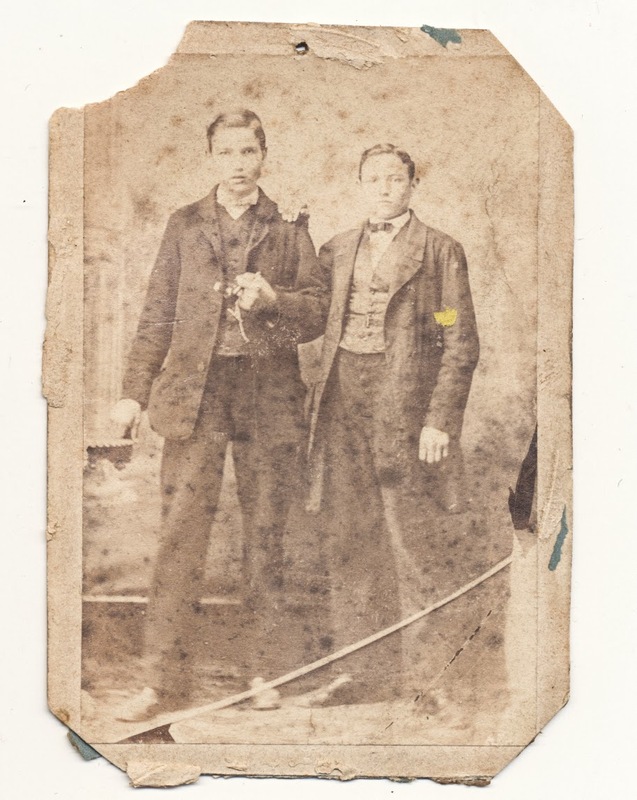 Do photos really have any genealogical value? 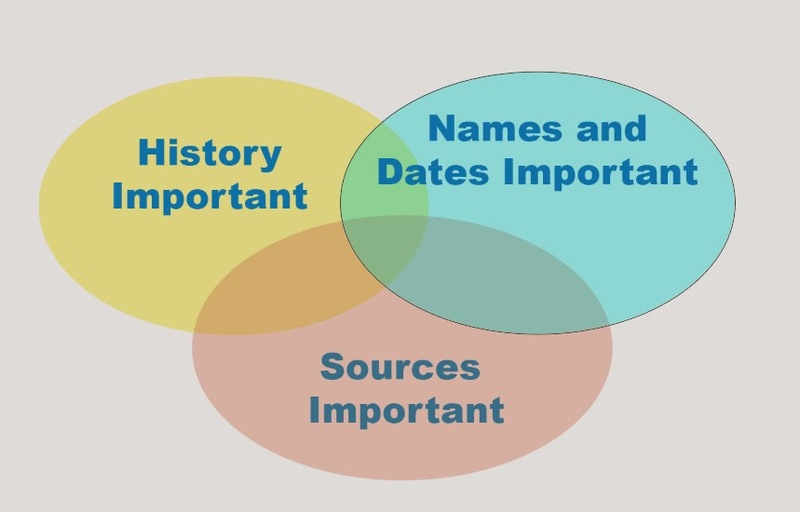 In my diagram everyone interested in genealogy fits in one or more of the three categories. But only where two or more categories overlap do the genealogists share a particular persuasion. You can see that it is my opinion that there are only a very small number of researchers that recognize the relative importance of all three areas. So now we look at the issue of a photograph. It is obviously of interest to a history genealogist. But maybe the other two have no need for photos especially when the names of the individuals in the photos, places and other details about the photos amy be entirely lacking. I did not make these ovals proportionate to the size of the groups. If I had, the oval for the names and dates group would be so large that the other two would not be visible. The only group likely to value photos is the history group. My guess is that anyone reading this post is likely in somewhere in the center sharing an interest in all three areas. So, the real answer to the question in the title is "it depends." For the last few months, there has been a steady undercurrent of discussion among the genealogists both online and offline about the agreements made between FamilySearch.org and the other three large genealogy companies; Ancestry.com, MyHeritage.com and findmypast.com (D.C. Thomson Family History). Last week's huge access by Ancestry.com to hundreds of FamilySearch.org's collections fueled even more discussion. I am assuming, perhaps speculating, that we might hear more at RootsTech 2014. 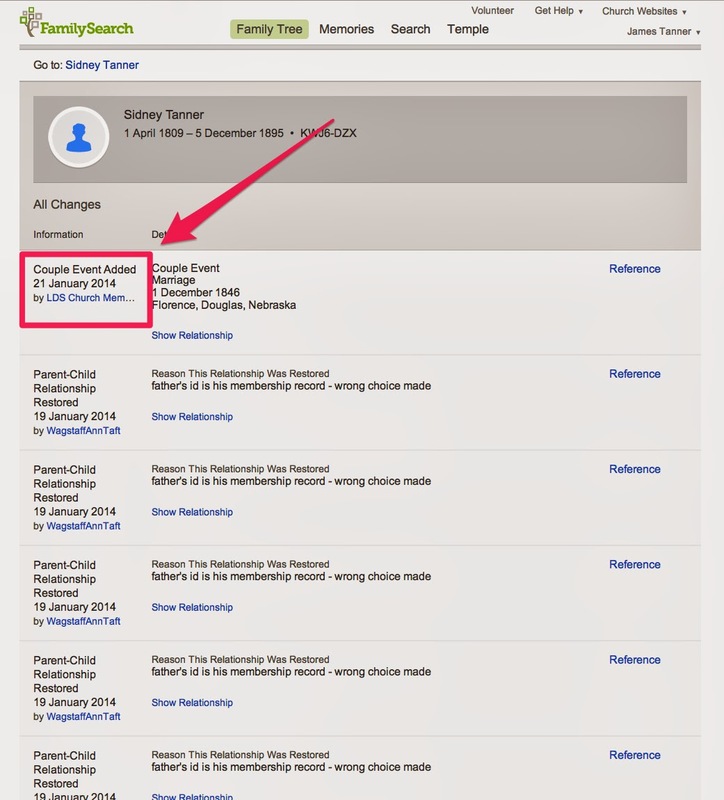 But the timing of the Ancestry.com announcement of 21 January 2014 does not seem to indicate that the four entities are particularly focused on RootsTech as the forum for further announcements. During the events of the 21st of January, I wrote down some of my own conclusions and immediately had most of my ideas contradicted by the huge number of collections added to Ancestry.com. One of the recurrent themes of the rumors surrounding these agreements is the question of the extent that FamilySearch users will either gain or lose access to any of the other programs and even of the databases on FamilySearch.org. 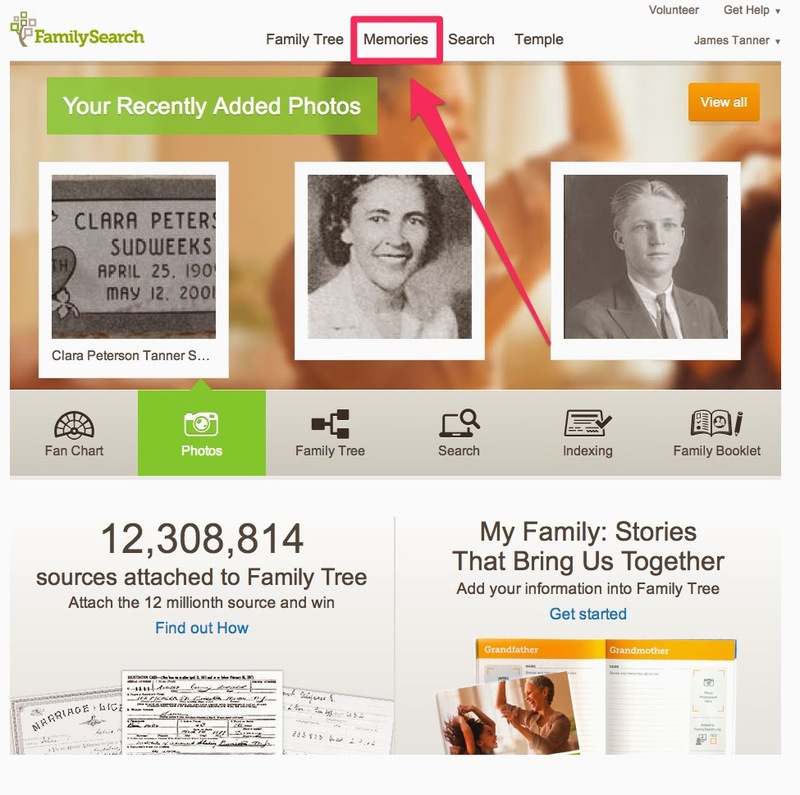 It has been a long-standing practice by FamilySearch.org to share its collections of records with other entities. For a considerable time, there have been links from FamilySearch.org to images of records on Ancestry.com, so that users of FamilySearch.org have not had free access to the images without going to a Family History Center (now FamilySearch Center) to view the Library edition of Ancestry.com. I have had people ask me if Ancestry.com has purchased FamilySearch and if all the records are going to be subscription only and also if FamilySearch has purchased Ancestry.com and so forth. Most of these arise because some genealogists seem to have only the most tenuous understanding of who all the entities are and how they relate to each other. Because of public statements made in the past, which I have reported in previous posts, many members of The Church of Jesus Christ of Latter-day Saints are questioning the type of access they may have in the very near future to records on any of the three non-FamilySearch entities. To date, I have seen nothing online clarifying that issue and there may or may not be any further information made available at RootsTech on that issue. One thing you can be sure of. I will likely write about any announcements made at RootsTech just as soon as I can get to my keyboard. When is a disaster a disaster for genealogy? Who will not be at RootsTech 2014? Why? How popular is genealogy, really? Who are our ancestors in the United States? What if our genealogical dreams came true? The Genealogy Night of the Living Dead Revisited? New enhancements to the FamilySearch Catalog.